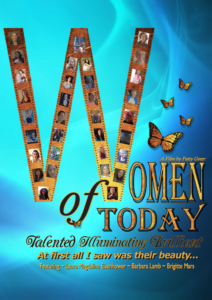 BLAINE, WA – Award-winning filmmaker Patty Greer & Futurist Alfred Lambremont Webre inaugurate 2017 with a free movie “Women of Today” & free book “Exopolitics” at CropCircleFilms.com & Exopolitics.com. Welcome to 2017! Celebrate the Shift with Mother Earth! Claim your free gifts here for a whole month January 20- February 20, 2017 & share these free gifts & links with family, friends and networks! Inaugurate 2017 & Celebrate the Shift with Earth! Claim your free gifts here for a whole month Jan. 20 - Feb. 20, 2017! Share these free gifts & links with family, friends and networks! EXOPOLITICS: POLITICS, GOVERNMENT AND LAW IN THE UNIVERSE is the book that founded Exopolitics & was time-traveled by the secret DARPA/CIA quantum access program from 2005 back to 1971. Claim your free gifts here for a whole month and share these FREE gifts & links with family, friends and networks! 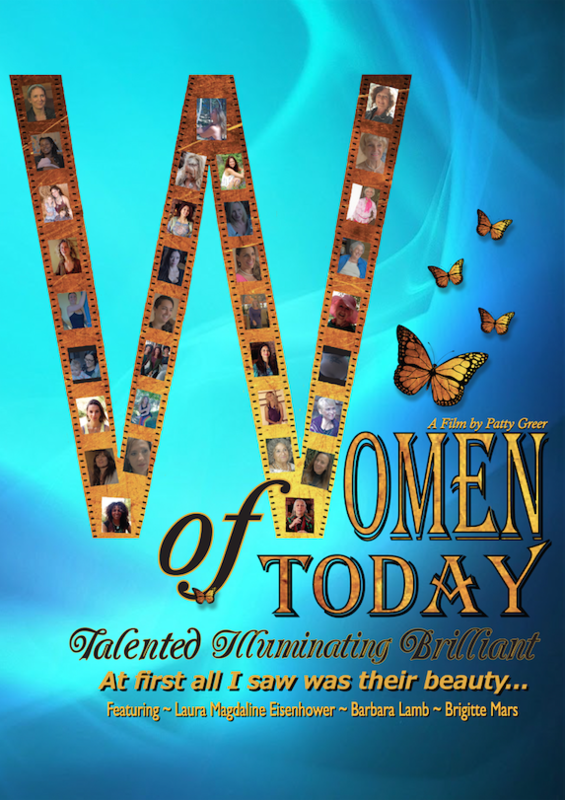 “Not a movie to be taken lightly the “Women Of Today” film will empower & inspire women around the world (Men will smile). “Wise Women & their Medicine are back! As one of the greatest underlying secrets of human evolution, their wisdom & true magic are unmatched. “Women produce babies & feed them naturally & have since the dawn of time. Men have an equally important role. When men & women unite & create balance ~ grace & peace are achieved. “Like acupuncture points around the world “Women of Today” heal in all directions. They make a positive difference wherever they go, even if it’s just a smile because it’s authentic. They share remarkable wisdom on how to move gracefully through these trying times in the movie. “We are experiencing the greatest shift ever in human Evolution right now, know it or not. Your expanding consciousness has never been more important! “Although the filmmaker claimed this was her first “Non-UFO” movie, three of the women are personally involved in the Mars Mission! “You’ll meet 33 uniquely exquisite women including professional dancers, an 88 year old senior Olympian who recently hiked a 100 mile trail, a barefoot runner, a paralegal performing acrobatics dangling from silk ribbons & a sensual hula hooper. “Meet successful businesswomen triplets with the only all-female brewery in America, a psychotherapist, a Unity Minister, a Muzoetry musician and a top herbalist share visions and dreams. “A poet drops classic rhyming lines, the author of a Cannabis Cookbook shares illuminating recipes. Elder artists, an incredible belly dancer, a Native American Grandmother, a psychic surgeon, and a young mother who gave birth over a yoga ball - walking her talk as a prenatal yoga teacher! A beautiful prenatal/postpartum Doula with 2 young children, a pregnant belly with henna tattoos and long dreads presents the best natural baby delivery methods available today. “One of the many things these women have in common is a commitment to share higher conscious wisdom with the world. They have all made a promise to assist others along the way and this is how we will progress as a species. “Each woman has been on task for many years, offering beautiful gifts and not looking back. An incredible array of women are presented in all sizes, shapes, colors and lifestyles. “None of them has had it easy getting to where they are today. They are you, You are me, and we are all together! “Featuring: Laura Eisenhower, Barbara Lamb, Brigitte Mars, Bina Mehta. Happy Holidays! Celebrate the Shift with Mother Earth! On the 20th of each month, Claim your free gifts here for a whole month! Share these free gifts & links with family, friends and networks! PBS broadcast opens mainstream PBS viewers to Levengood-Kelly crop circle research demonstrating that Earth-based energies in leyline areas, in synergy with intentional human or interdimensional energies, are source of Crop Circles. Levengood-Kelly research demonstrates seeds planted in crop circles yield 40% more food and 70% more nutrition. The Crop Circle phenomenon can be technologized with Unity Consciousness to provide human access to 4th/5th density Earth, creating density Ascension technology here and now. Filmmaker Patty Greer discloses key secret in her new film Crop Circle Diaries: Mother Earth is the CropCirclemaker!